Pilen Lyx Step Over - J.C. Lind Bike Co.
Pilen began somewhat humbly as a husband-wife team refurbishing old bikes and tractors and selling them at flea markets and squares in Sweden. In 1998 Martin and Louise made the jump to manufacturing bikes (out of a barn on the family farm, no less). They have since blossomed into a factory in Southern Sweden with a small and highly-skilled team of builders and designers that builds about 2,000 bikes a year. For the past 20 years, Pilen has produced a bike that artfully combines form and function. Pilen bicycles are about Love – of bicycle riding, of the craftsmanship, of the materials, and of the people who own them. The Pilen Lyx is a heavy duty chromoly steel frame loaded with features that are after-market add-ons on most American bikes. The Lyx Step Over comes in only one frame size, measured at 57cm, but due to its relaxed, comfortable geometry and highly adjustable seat and handlebar positioning it can fit a range of riders from around 5'7" to 6'2". The first thing riders usually notice is the height. Large balloon tires on 28" wheels, a large frame, and geometry that creates an upright posture all combine to give the rider a commanding, unobstructed view of the road. Those same Schwalbe Big Apple tires also contribute to the bike's exceptional cushion when it comes to riding over bumpy, imperfect city streets. Powder-coated stainless steel fenders keep the rider dry and clean, as does the chainguard. A Shimano Nexus 8 speed internal gear hub provides a wide range of gears to choose from in a system that's lower maintenance. The Shimano roller brakes are another maintenance-saving component, and give the bike dependable stopping power in all weather conditions. A Shimano dynamo hub powers the front LED light and a rear battery-powered LED light comes attached to the rear fender. 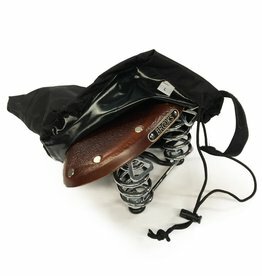 Pilens come standard with a Brooks B66 sprung leather saddle and a heavy duty rear rack with a hand-painted Pilen logo. Lastly, the beautiful paint work on the Pilen really sets it in a category above. Its durability, luster, and range of color choices gives consumers a truly individualized ride. 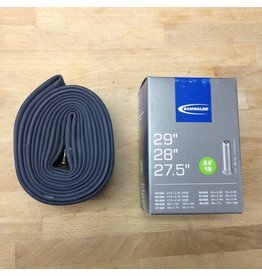 This is a 700x1.5-2.4" tube (in other words, it is suitable for 29ers up to 2.4" wide, it also accommodates 700B and 650B tires). This is most commonly used on our Pilen bicycles.